Celebrity stylists offer a trove of timeless and universal style advice, which we've dutifully shared with you time and again. They've shared insights like the only three products they recommend everyone own, the white T-shirts they swear by, and even the items you can find on their Amazon shopping lists. Now they're trying their hand at designing, too. 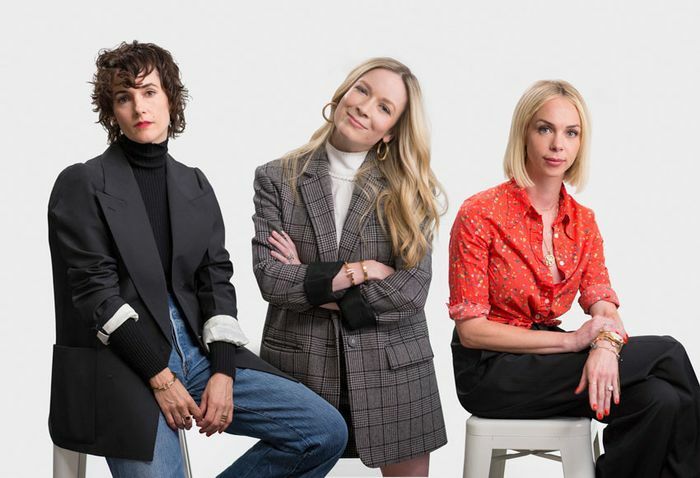 Three of the most influential fashion stylists—Karla Welch, Erin Walsh, and Simone Harouche—have teamed up with Cole Haan to create their own shoe capsules, and the first styles dropped today. Each stylist infused her own personal style sensibilities into a handful of Cole Haan's classic shapes, like the Oxfords and ballet flats. For the powerhouse stylist to Hollywood's biggest names like Tracee Ellis Ross and Karlie Kloss, Karla Welch went with rich burgundies and a shimmery finish for her designs. Erin Walsh, who's known for her editorial styling, took an elevated yet accessible approach to her shoe capsule, with a clean, minimalist feel. Simone Harouche, known for creating some of pop culture's most iconic fashion moments, went with a sleek, edgy look in black leather and mesh. You can shop the first few styles of this capsule below, and Cole Haan will drop the remaining styles throughout the coming months on its site. Scroll down to shop the shoes that Welch, Walsh, and Harouche designed now.